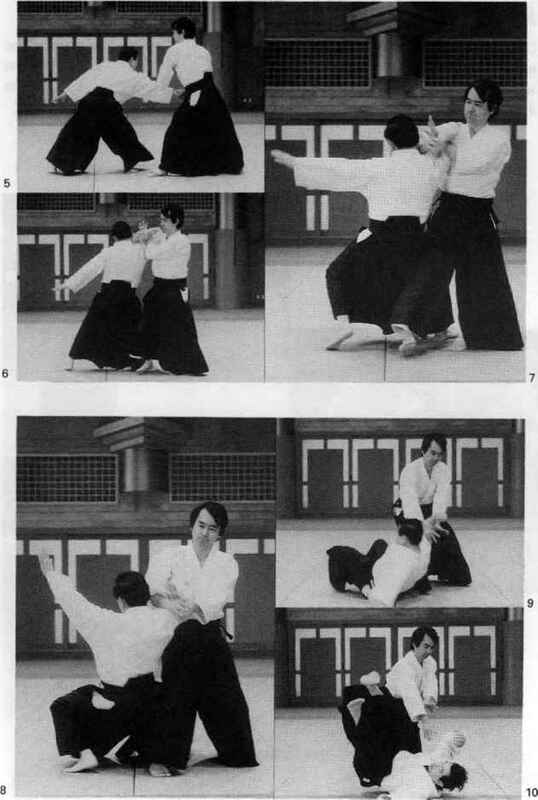 Uke delivers a thrust to tori s stomach with his right fist. 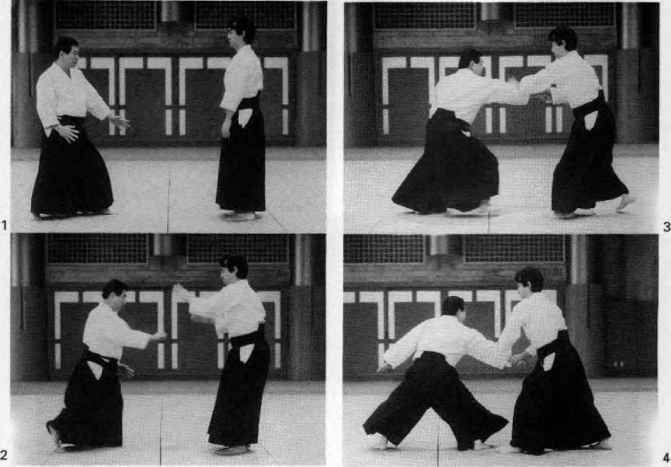 Tori slides back slightly to avoid the attack and grabs wfce's attacking arm slightly above the wrist. 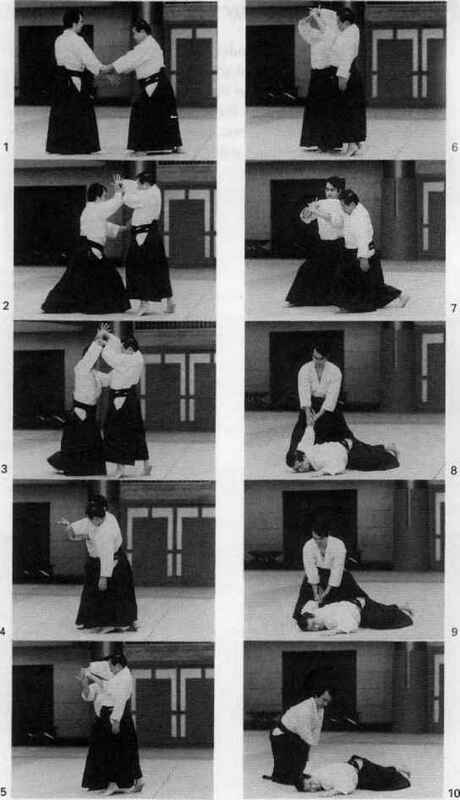 Tori raises wfce's arm, slides his right hand between the elbow and wrist in the oguruma lock, then takes a step in with his right leg and cuts downward with his hands to effect the throw.